For over 25 years, DWM – Deutsche Wein Marketing has been setting standards in the wine industry. Now, with four annual international wine competitions (Berliner Wein Trophy, Asia Wine Trophy, and Portugal Wine Trophy), DWM is indispensable as a guarantee of quality in the international wine scene. All contests are under the auspices of the International Organisation of Vine and Wine (OIV) and the International Union of Oenologists (UIOE) and are thus the most strictly controlled wine competitions worldwide. This ensures that all Trophies are awarded according to the same fair rules and high standards of quality. 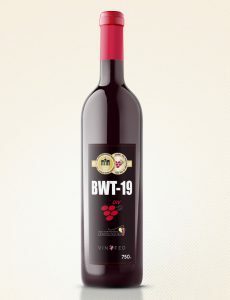 Since its premiere in 2004, the Berliner Wein Trophy has become Germany’s most important and largest international wine tasting under the patronage of the OIV and the UIOE and brings well-known producers and distributors from around the world together every year. The number of samples submitted is steadily growing, with almost 14,000 entries yearly. The consumption of wine has risen in recent years, especially in Asia. With the Asia Wine Trophy, the demands of Asian consumers for high quality wines are met. With over 140 excellent jurors and more than 4,000 submitted wines, the AWT is probably Asia’s most important wine competition. The Portugal Wine Trophy took place in 2014 for the first time. Thus, right from the start, the PWT became one of the biggest competitions in the country. Last time, this contest was also playing a prominent role in the international ranking of wine competitions with more than 1,800 submitted wines. Under the auspices of the OIV, the best wines are regularly awarded with the Trophies of DWM. On the following pages, you will find all the results from the previous wine contests and you can filter them according to your wishes. Go in search of delicious wines to suit your taste! Please note that as a submitter, you can check the results of your wines at any time in your user account.